Fraud | The Rants of a Ghanaian! Priado Wealth Alliance: HelpGhana’s Legacy! Technology is now the criminals best friend; there’s now less effort in stealing a lot of money. When done right though, clueless people practically throw their hard-earned money at criminals. How criminals utilize this power nestled within technology determines how smart or “unsmart” (I can’t say stupid) they are. Few criminals have shown themselves smart enough, but others are just plain dumb. But then, the “inbetweeners” enjoy the spoils of decaying foundations and hope for the best. The merry men at HelpGhana blazed the trail Priado Wealth Alliance carefully walk on now…however, no matter how professional a website looks or how sweet an offer appears, the truth will out. The truth? Priado Wealth Alliance is the newest member on the Let-Us-Scam-Ghanaians campaign: stealing our monies GH¢30 at a time. Following HelpGhana’s terrible example, Priado is built on a system that requires every new member pay out GH¢30, which ultimately goes to the referrer…with these new members referring new people to the platform so they can all get a piece of the action (a ponzi scheme). Rinse and repeat until the whole world loses GH¢30. The fact remains, ponzi schemes don’t work unless somebody loses. Those at the bottom of the scheme are essentially defrauded by those on top. It’s a mathematical fact that no matter how many people join the scheme, 88 percent of the members will be on the bottom level and will lose their money. After a lengthy conversation with a self-appointed “spokesperson” for Priado Wealth Alliance, it was obvious he didn’t know what he had gotten himself into. His description of the Priado’s business model is a textbook definition for a Ponzi scheme, but he just can’t understand why it’s illegal. That is a problem. I have scoured the entirety of the Priado website in hopes of finding how the company generates wealth for it’s clients, wondering how they manage to stay afloat and be relevant when they have no clear-cut plan on making money. There is no such mention of that plan…but, they do encourage their members to bring in more “affiliates”. These affiliates come forward with their money, which is given to “older” members on the platform. Priado is not a bank or a financial institution, but they promise members a whopping GH¢ 699, 940 for the initial deposit of GH¢30. Of course you’d have to jump through some hoops first but in the end, no legal company has what it takes to honor that promise. What? Are they plucking out money from trees? The “clueless” people in this venture consider this model as “networking”, but if the money is not generated by Priado but by the new recruits and then redistributed to the members, what happens when these members spend their “hard-earned” money but can’t convert new members? There are no official social media pages for Priado, just a lot of obscure scam-looking pages with no obvious ties to the company…save for text-heavy low-res images with the Priado logo plastered all over. For a company that is allegedly legal, it does little to differentiate it’s business model from a Ponzi scheme. What breaks my heart? My fellow Ghanaians still fall to this scam. When a new company crawls out of the woodwork with a get-rich-in-no-time offer, 9 times out of 10, that offer is most probably false and illegal. But alas, the life of opulence blinds people to the red flags these preposterous offers raise. Until people change from such childish fantasies, I fear we will always fall to such trickery. 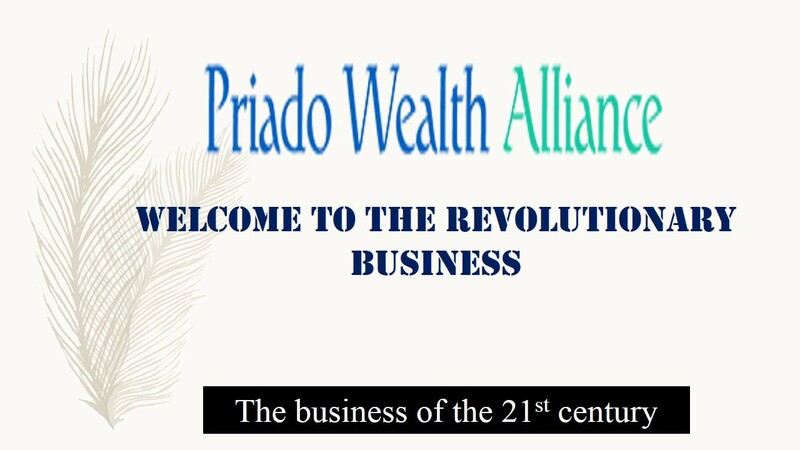 Priado Wealth Alliance, you are on the radar now.